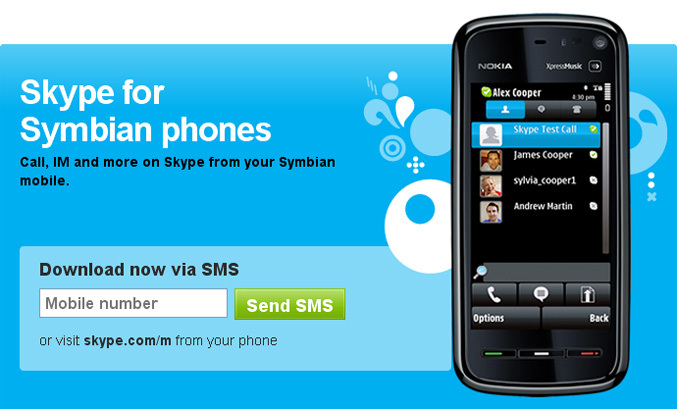 Skype and Nokia jointly announced the release of Skype for Symbian, a Skype client for Nokia smartphones based on the Symbian platform, the world’s most popular smartphone platform. 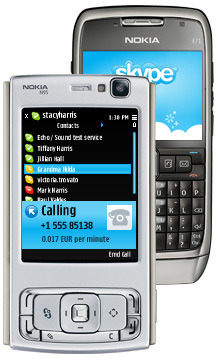 Skype for Symbian will allow Nokia smartphone users worldwide to use Skype on the move, over either a WiFi or mobile data connection (GPRS, EDGE, 3G). It is now downloadable for free from the Ovi Store, Nokia’s one-stop shop for mobile content. “Symbian enables us to bring smartphones to more and more people and ensures scale for our solutions and compelling services, such as Skype. We’re seeing around 1.5 million downloads a day on Ovi Store now and believe that the Skype client for Nokia smartphones will have wide appeal to Symbian users,” said Jo Harlow, Senior Vice President for Smartphones, Nokia.